Bit of a letdown today with the forecast, the 45mph winds and heavy rain didn’t appear..! 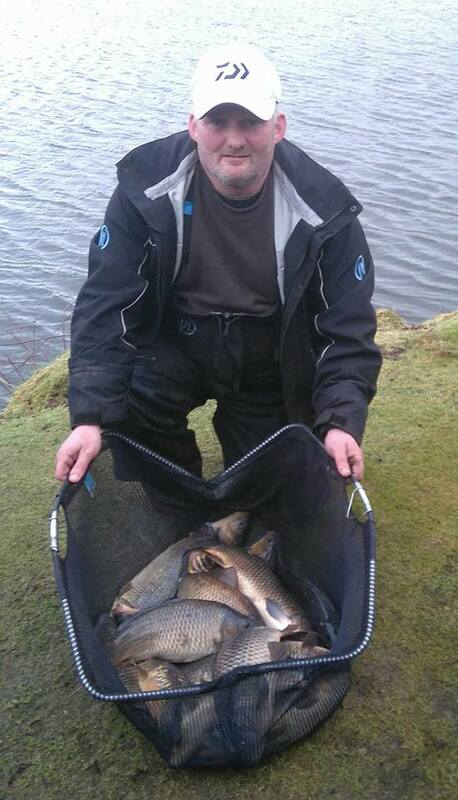 Although it was windy, around 18 – 25mph, pole fishing was manageable in spells at around 11m. The added bonus was it didn’t rain and temps reached 10 degrees. Choosing the correct tactics today was a bit of a quandary, but most opted for cage feeders on the tip rods and targeting skimmers on the pole. Decent sized fish were hard to catch on the pole, but only because the gudgeon plague was hell-bent on intercepting any baits the second they hit bottom..! Craig Duncan started off well with good big skimmers straight away on the tip rod, picking off odd fish on the rod and pole to finish 3rd with 11lb 7oz. Symon Willan netted to big ide, also on cage feeder/maggot. Barry Young had drawn his favourite peg 20, although not a recognised winter peg he set his stall out to attack the culvert with cage feeder and maggot. Lots of ” Liners ” early on indicated there was fish present, but reluctant to feed/pick up maggots. After tinkering with various baits, a hard 8mm pellet got a response, producing 21 small carp and a good skimmer, with his pole line producing a further 3 big skimmers and a big ide… The weigh-in took two ” weighs “, with a total winning weight of 61lb 15oz. 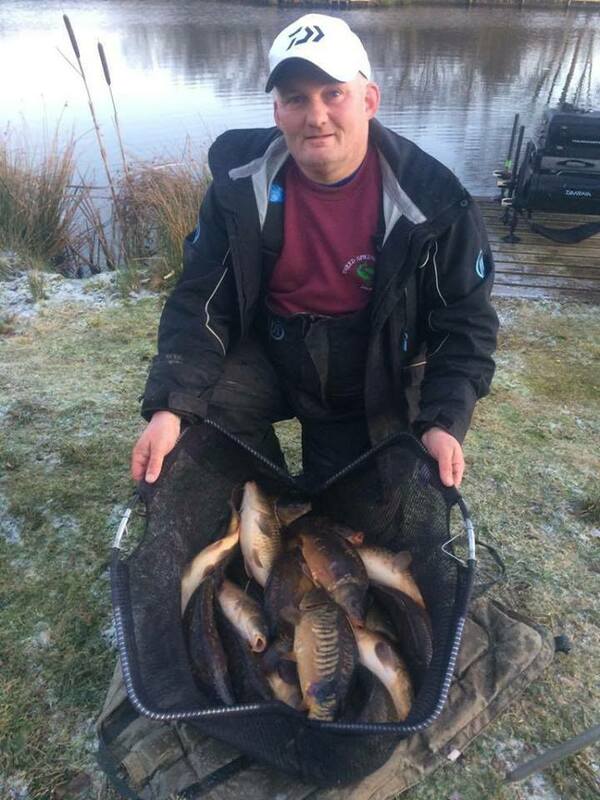 Steve Royle did well-catching lots of small skimmers, roach & gudgeon, with a good chub and some bigger skimmers helping him into 2nd place overall with 15lbs 11oz. Maggots on pole and cage feeder were still the favoured baits, we’ll ignore the carp not reading the script today, eating 8mm pellets in January..! Great day with the usual laughs.. Well done everyone..! The roast beef dinner in the cafe was a welcome warm meal, first class. !